Ahhh!! Summer is finally here! Days of rest, relaxation,….and SAVINGS! Now is a great time to start organizing and planning for the next school year. I’m moving from 1st to 3rd grade so I have LOTS of planning to do! Why not save on the products that you need? I’ve teamed up with a great group of teachers to offer you savings all summer long. Each week we will put a different item on sale. The item will only be on sale for a week. The next week each of us will choose a different resource from our store to offer at a discount. You can search TPT for saleabration to find all of the items that are on sale for the week. Or…click on the linky to see some of the items that are on sale. 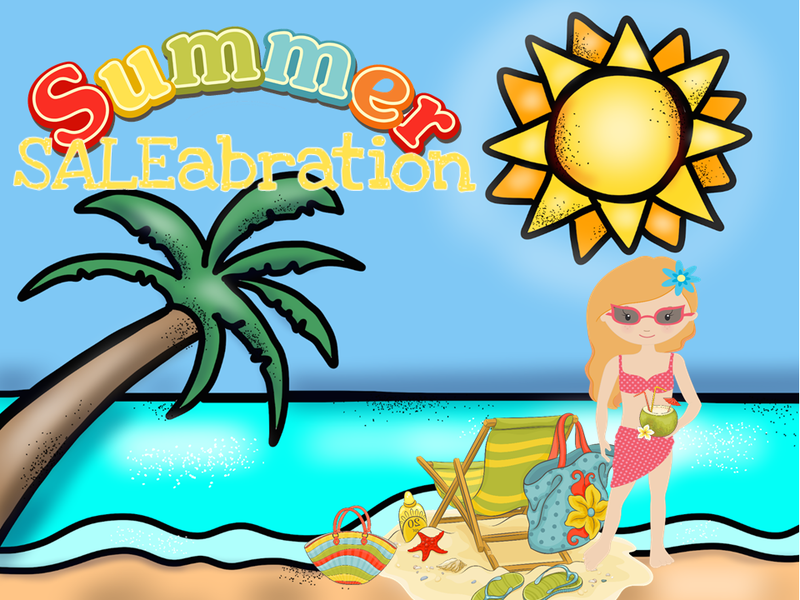 Thanks for joining us on this Summer Saleabration!